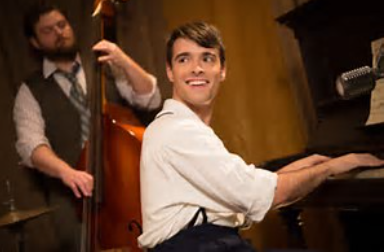 Drama Desk Nominations Announced! “Dolly” reigns with Ten! 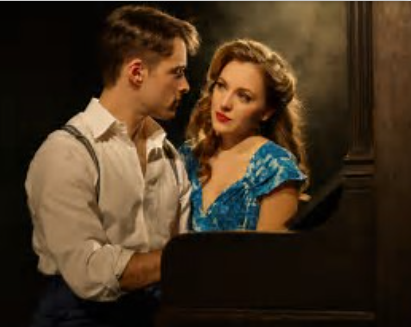 This year’s Drama Desk nominations were just announced! 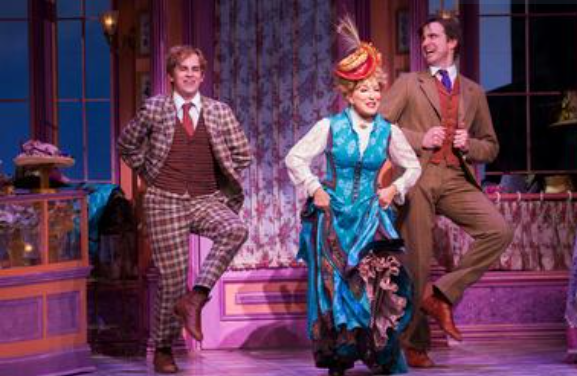 “Hello Dolly!” which I just saw last night, and it’s a wow, got ten nominations. Productions that played last season and transferred to Broadway this year like “Dear Evan Hansen” etc. were not eligible again this year, like the Outer Critics Circle nominations. 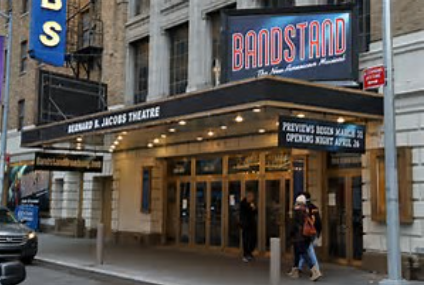 The Drama Desk is considered the most prestigious of the Tony precursor awards because it is the only award where Broadway, Off-Broadway, and Off-Off Broadway are considered on all equal playing field. And once again Laura Linney was nominated for lead in “Little Foxes” for her alternating Regina. As you know, I saw her as Birdie, which is the role her switch-ee Cynthia Nixon was nominated for. Bette Middler, bien sur, got nominated for Best Actress in a Musical for “Hello Dolly!” And her dazzling co-star Gavin Creel was nominated for Best Supporting Actor as the busting at the seams to get out of Yonkers, Cornelius Hackle. And Kate Baldwin was nominated for Best Supporting or Featured Actress as the OTHER widow in “Dolly” Irene Malloy. “Charlie” 3 Hours of Chocolate! Gag Me! It’s this time as the very tail end of a very vigourous theater season, like this one, draws to an end, that one begins to count the hours ~ of the plays one is forced to watch. Or endure would be a better verb. After three hours of yak-yak-yak at “Oslo”, and three hours of chocolate at “Charlie and the Chocolate Factory”, even though I’m diabetic, I think I’ll take the chocolate. But it’s bittersweet, because not until the last twenty minutes or so does “Charlie” really get sweet enough and funny enough and touching enough not to gag on. All praise to the divine Jackie Hoffman as the most neurotic of the five sets of adults who have to watch their children die from overeating, over-bubble-gumming and over-greediness. Jackie Hoffman scored such a big hit playing Mamasita, Joan Crawford’s tart-tounged house-keeper in “Feud” on TV is back on Bway, always a cause for rejoicing. 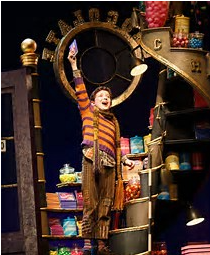 She, and the utterly delicious, stupendous and tireless Christian Borle as Willy Wonka, really do pull the ending together of this chocolate-coated mishmash. Accompanied by the delightfully woebegone child actor playing Charlie Bucket, Ryan Foust. Together with Michael Wartella, playing Jackie Hoffman’s obnoxious gadget-obsessed son Mike TeeVee (Jackie is Mrs. TeeVee) they make the magic finally happen as the over-long and rather dreadfully unfunny “Charlie” suddenly comes at last(!) to life. The first act was like watching a dancing corpse that wasn’t dancing, and then we’re saved by Act II and in the final stretch by indefatigable Borle, and an animated video sequence that enthralls as Mrs. Tee Vee watches her son turn into a…well, I guess you’ll have to see it. If you can stand the other over two and a half hours. This is quite the worst thing I’ve ever seen the brilliant director Jack O’Brien do. The same can be said for the usually excellent composer/lyricist duo of Mark Shaiman and Scott Wittman. It’s their weakest work ever. Only the over-familiar, but not written by them, “Candy Man” and “World of My Imagination” really work as music you want to listen to and remember. But they’re standards already. And the um-pa lum-pas(I almost forgot them) are adequte. They’re puppets. Otherwise, these great talents are just doing it for the paycheck, I’m sorry to say. Which looks like it’s going to be substantial no matter what the critics say. It’s a pre-sold franchise. It might as well have been set in McDonald’s. The Outer Critics Circle nominated it for nothing. No surprise. 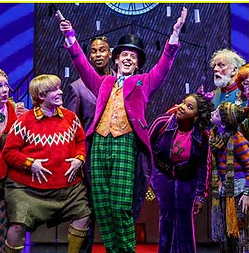 The nearly sweating-himself-to-death Christian Borle is just astonishing agile as Willy Wonka and Jackie Hoffman lands every single(badly written) joke, and makes them seem funny. No mean feat, but the lady is a comic genius. And plucky, little Charlie Bucket does tug at your heart strings even though you know he’s doing so. As Charlie and Willy ascend into a candy-coated, one hopes, heaven in a transparent, plastic elevator, you are genuinely happy for them. Also it means this long schlog which nearly put me in a diabetic coma is coming to an end. This season’s Outer Critics Circle Awards have just been announced today. These are critics who write for publications outside New York City proper. IOW, “the bridge and tunnel awards” as they are jocularly known. And there are some surprises and some notorious Left-outs. And they usually prefigure the Drama Desk Awards to some extent which are announcing on Thursday and to a lesser degree the Tonys. You also have to take in to consideration that missing are some major players, who will figure greatly when the Tonys announce next week, because shows like “Natasha, Pierre and the Great Comet of 1812″,”Dear Evan Hansen” and “Significant Other” were done Off Broadway so were eligible and considered at that time, last year or the year before and are not eligible this year except for the elements and performances that are new. I’ll note that “Anastasia” has gotten the most nominations 13, with “Hello, Dolly” coming in second with 10. 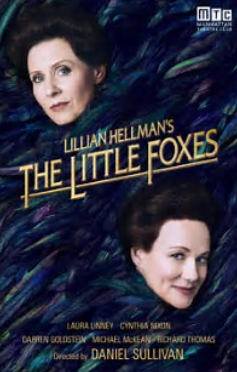 “Little Foxes” with its’ two alternating leading ladies, saw Laura Linney nominated in lead and Cynthia Nixon in Supporting. 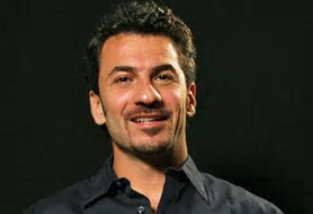 I’d also like to give a tip of the hat to the terrific actor, Michael Aronov , who is nominated for Best Supporting Actor in a Play, enlivening that three hour snooze fest of “Oslo” which also got nominated for Best Play. Go figure. Completely MIA was “Amelie.” Sad, but no surprise there. The complete list of nominees are at broadwayworld.com. 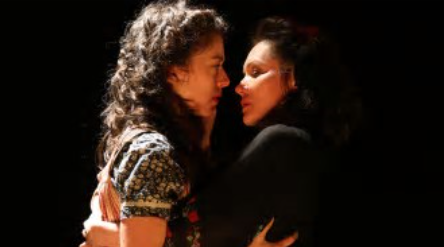 “Indecent” is Pulitzer Prize Winning Lesbian playwright Paula Vogel’s masterpiece. This great American playwright has finally found her voice at age 68 and her greatest triumph. “Indecent” is now at the Cort Theater on Broadway and long may it run. As long as “Fiddler on the Roof,” which it strangely resembles, though it is really a straight play with a lot, and I mean a lot, of joyous songs and dances in Yiddish . Perfectly, flawlessly executed under director/collaborator Rebecca Taichman’s masterful hand. At this point in my LONNNNG, career as also a gay playwright, actor, director and critic, I thought I knew every gay and lesbian play backwards and forwards and inside out, four ways to Sunday and back again. But “Indecent” shocked me, not by its’ touching, almost reticent depiction of Lesbian-Jewish love at the turn of the last century. (1907 to be exact), but by the fact that “Indecent” is a play-within-a-play-within-in play and that play was the first successful lesbian play just about ever. And it was written by a newly married heterosexual Jewish playwright Sholem Asch and called “Got fun Nekome” or “God of Vengeance.” “Indecent” is a celebration and almost a complete re-staging of this incredibly important, seminal, nearly lost GLBT play. We see scenes from it acted out and re-acted endlessly. It’s certainly one of the best plays of the year, and the most pertinent in this era of incipient terror that is upon us. “Indecent” couldn’t be more timely, or more beautiful. And it’s simple, so simple, and yet utterly complex. So complex, it has sub-titles or super-titles above the action telling us what, when and in what language, the present scene is taking place. It’s a very nifty device, and the shifting Yiddish/English text is glorious in its’ magnificent execution. It’s ensemble cast of seven, plus three on-stage actor/musicans, is flawless. And the story and history of “God of Vengeance” is unbelievably dramatic and true. Of course it was banned and the cast jailed when they LAST tried to do it on Broadway in 1923. By that time “God of Vengenance” had been a hit all over Europe and also in the Yiddish theater here in New York. But they hit the proverbial wall uptown when they were declared “Obscene, indecent, immoral and impure” and shut down immediately. It’s ninety minutes and a harrowing delight. Let me add that the final song “Wiegala” heard near the play’s conclusion, was written by Ilse Klein, a nurse at the children’s hospital in Theresienstadt, one of the most notorious concentration camps. She sang this song as a lullaby for the children in the wards there before they were to be transported. It is said she sang this song in line to the gas chambers. Are you crying yet? I was. Yes, “Indecent” will move you to tears and to dance and sing and celebrate Paula Vogel’s breath-taking triumph of a life time. If you think you’re seeing double, you’ll be seeing triple and quadruple in the current mish-mash that is passing as a hit musical from London, “Ground Hog Day.” I have to say that if you haven’t seen the 1993 Bill Murray movie set in Puxitawney, PA., you’re really out of luck. Because this musical doesn’t make any sense whatsoever.. But, so I’m told, if you’ve seen the movie, it does. Otherwise, it’s a godawful mess. Or is it? Or is that EXACTLY what it’s supposed to be? Utterly and immensely confusing, like it’s central character, Phil, a TV weather person, played very engagingly by the swaggering Andy Karl. Then he had the colossal bad luck of dislocating his ACL in previews for “Ground Hog Day,” and now has become something of a Broadway legend and also, believe it or not, a front-runner for the Tony for Best Actor in a Musical, because despite performing in a black knee brace, he went on! In the great theatrical tradition, nothing could stop him from giving this powerhouse, but utterly confusing performance.” Obviously in pain, he went bravely forward, over and over and over again, as the repetitious “Ground Hog Day”, a science-fiction musical if ever there was one, repeats and repeats and repeats itself. With Karl leading the charge, injured though he is, and with his knee brace clearly showing (he’s in his underwear a lot, as usual. And thank god for those terrific thighs!). And audiences are going wild. “Ground Hog Day” will have to run on fans of the movie, and perhaps, garbled and senseless (to me, a non-believer) as it was, that’s what audiences are craving these dark days in our country’s history. 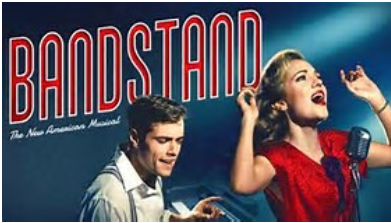 A feel-good, only partially funny, gigantic musical that makes no sense whatsoever. The world has gone mad in Puxitawney, Pa, and that’s the plot, such as it is. Puxitawney is where the famous Puxitawney Phil, the ground hog who if he doesn’t see his shadow when he peaks of his hole in the ground means we’re getting six more weeks of winter. As far as I could tell, he didn’t see it. Thank god, it’s really now spring in NYC! So, it’s Feb. 2nd and time and Ground Hog Day itself, keep repeating, repeating and repeating in our beleaguered hero’s brain, while those townsfolk around him make merry and march and re-march and re-march. There is no end to those parading Pennsylvanians! The music itself is also not much of anything. Tim Minchin who debuted so powerfully a few seasons back with the wonderful “Matilda”, here goes backward in time to really forgettable music and lyrics that seemed to be in a time-warp of their’ own, as if the magical “Matilda” had never happened. And since this show was generated out of Australia, the small town PA. people are REALLY cartoons of what Pennsylvanians are like. Whatever they are, Pennsylvanians are not singing Australians, with bad American accents. And so the nightmarish cartoon juggernaut that is “Ground Hog Day” continues to roll over and distort and distort and re-distort everything in its’ path. The Bill Murray movie couldn’t be this non-funny or garish. Oh, yes, and there aren’t any jokes. 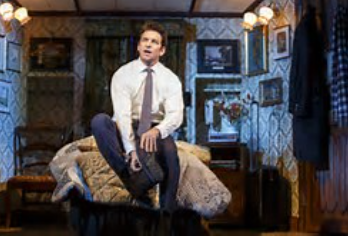 But there are lots of flying sets, one of which injured Andy Karl and may have won him a Tony. He deserved it for “Rocky,” but not for this mess. And no, I’m not going to find the movie of “Ground Gog Day” and now watch it just to make sense of this gob-bil-di-gook. It would be just too painful. And I’m sure not funny, after what I’ve just been through with “Ground Hog Day:The Musical.” It’s like a night-mare you want to forget. 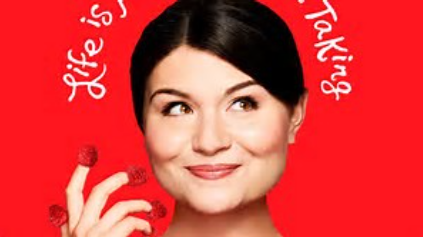 And “Amelie”! I hate to say anything negative about “Amelie”. It’s like kicking a kitten. I saw this French language movie, and I didn’t like it ,and can’t remember anything about it, except that Audrey Tautou is endlessly cute, and became a French icon of the ages. And I never could understand why. But there, like the Eifel Tower, she stands. Starring in French films of wildly varying quality. But an American musical? And not casting a French girl in the lead? New York is NOT Paris, and good as she was in the original Natasha in “Natasha, Pierre and the Great Comet” off-Broadway in the circus tent, and Tony-nominated for “Hamilton,” as his hapless wife, Eliza, Phillipa Soo never had to utter a single word of dialogue. Both these great early successes for the now 26-year-old Soo were wordless, sung-through pop-operas and boy, can she sing! 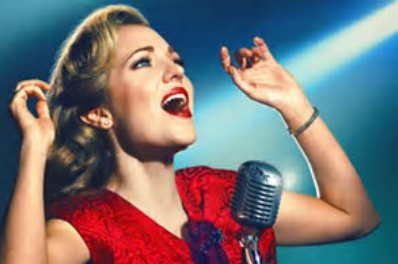 She possesses one of the great powerhouse voices, and it’s a pleasure to listen to her over and over and over again on the CDs of “Natasha, Pierre” and “Hamilton.” But here in “Amelie:The Musical” with REAMS of trite, banalities to make cute, piquant, quixotic and adorable, she’s utterly at sea. She’s at a loss with no script OR music to bolster her as she had both so memorably in “Natasha, Pierre” and “Hamilton.” I wonder if it will even last until the Awards are handed out in June? Somehow, I doubt it. And I’m a Francophile.